It’s the beginning of the end of a brutal festival that claims the lives of thousands of dogs and cats each summer. 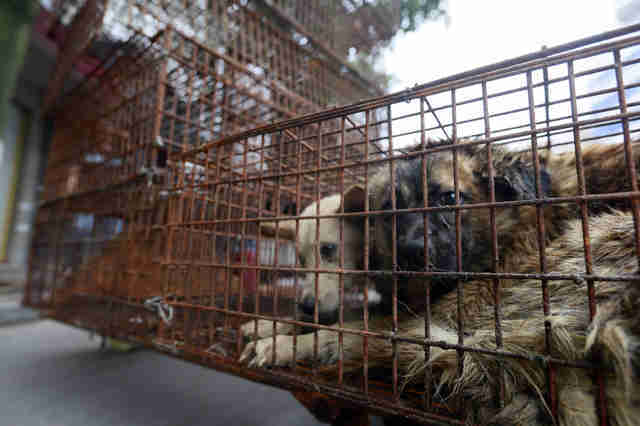 A new ban on selling dog meat at restaurants, street vendors and markets at China’s Yulin dog meat festival will go into effect on June 15, just one week before the festival is set to start, according to Humane Society International (HSI) and Duo Duo Animal Welfare Project (DDAWP). 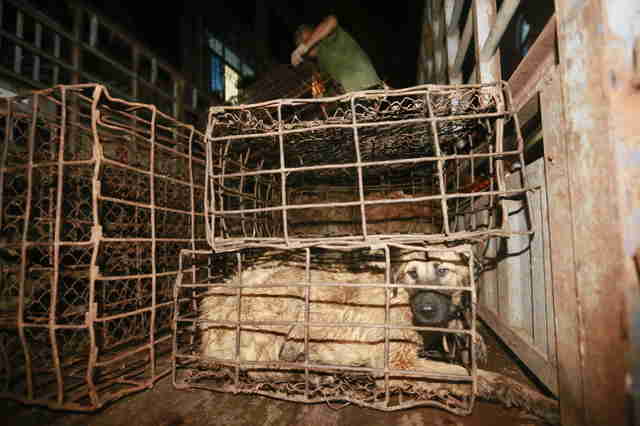 Anyone caught selling dog meat would risk a 100,000 yuan fine (nearly $15,000) and arrest. The ban was initiated shortly after a new party secretary took office, and is likely an effort to fix the public image of Yulin, which is known around the world for its endorsement of animal cruelty. While the ban is believed to be temporary, people who have been campaigning against the festival for years are calling the move “a milestone victory” in fighting the gruesome event. Many of the festival’s victims are stolen pets and strays taken off the streets. Some arrive at the slaughter sites still wearing collars. 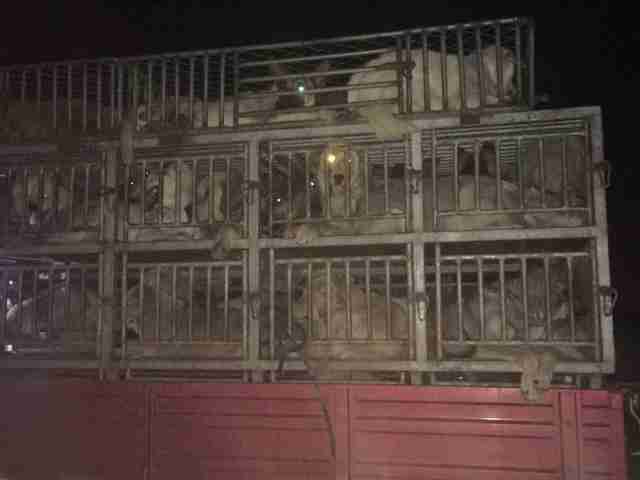 “We have had confirmation from Yulin on the ground from several different sources who tell us that the traders have been made aware of the order, and that it follows the new party boss's desire to convert the city into a ‘city of culture and civilization,’” Wendy Higgins, director of international media for HSI, told The Dodo. In previous years, activists have set up roadblocks to deter trucks full of dogs from entering the festival. 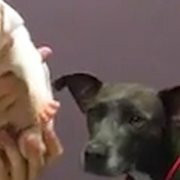 They have saved sick and starving dogs and cats at the last second before slaughter. Most people in China don’t eat dogs, but the Yulin festival started about 7 years ago by dog meat traders to boost sales. 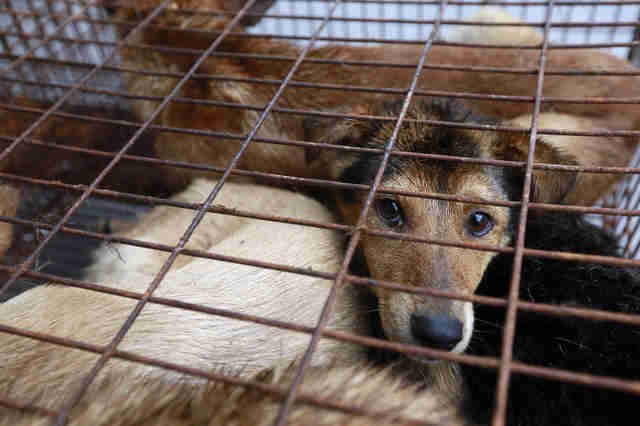 To help dogs rescued from the meat trade — and to end it all together — you can get involved here.